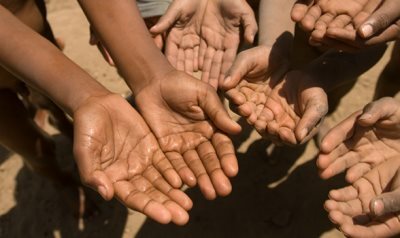 AFRICANGLOBE – We said last week that the number four reason why we Africans are so down and almost out in almost all indices of human development is that we are great wasters of food, talents, treasure, time and human lives. We also promised that because of the critical importance of this factor (waste) in our overall underdevelopment, we will, this week, take a further look at other aspects of waste that we could not look at in detail last week. Last week we considered two aspects of this waste- the waste of food and other treasures such as natural resources like precious metals and crude oil, which are only two examples. Today, we are looking at the waste of human talents, which I consider even more damaging to our cause than the other things which we either fritter away or treat with levity. Why do I consider the waste of human talent or acquired skills so important? The answer is simple. Nations are developed by the skills, competencies, patriotic zeal and the passion of her people. If you ask me the difference between developed and non-developed nations, it lies in the fact that while the former channelled the potential of their people to national development, the latter lack such wisdom which is why they remain poor and wretched. I want to state here that God has distributed the gift of intelligence, wisdom, creativity, rationality or what the Bible calls the gift of cunning liberally to ALL his children whether white, black or yellow. There are wise, talented, competent and gifted persons among every race on earth. The difference between us and other races is that while others have seen the wisdom in harnessing the talents of the exceptionally talented among their society for the greater benefit of the larger society, we have not seen that wisdom. As I said earlier, I think that of all the gifts to society which we Africans waste, none is as responsible for our abysmally low level of achievements as our waste of the human resources that God has blessed us with. It is truly a mystery to some of us who are very concerned about the plight of Africa and the Black race how most of those who accede to power in our continent or among our community are invariably mediocre persons who, not surprisingly, offer low quality leadership. It is a tragedy of immense proportion that among our race, most of our leaders are dull wits, who surround themselves with dimwits and produce the kind of leadership results that can easily be identified as coming from nitwits. The emphasis in our society is not on excellence, nobility, honesty, merit and achievements that immortalises but a rabid quest for money earned by any means possible. We love mediocrity and celebrate persons of low mentality and morality who use their talents negatively for mischief and manipulation of the system for their personal aggrandisement. On the issue of the waste of invaluable talents of its people, I will like to cite a few examples from Nigeria the country which best typifies the failings of the Black race in many respects. There is a certain Nigerian called Dr. Ezekiel Izuogu. Some of you may have heard of him. Many of you may not have. He hails from Imo State and is possibly in his mid-60s now. This prodigiously talented Black man who should be one of our greatest car designers and inventors has, for the past 30 or more years, been wasting away his talent and his life contesting one election or another, engaging in a calling that is obvious God did not call him. We do not hear much of Dr. Izuogu these days. Perhaps he has been finally silenced by a cruel, heartless and visionless society that has refused to recognise his talent and found a way of harnessing the gift in him for the greatness of the Black race. There are thousands of Izuogus scattered across the length and breadth of this vast country and the length and breadth of this vast race who may die unnoticed and unsung because they happen to be born as Blacks. Some years back, we sadly and helplessly watched as another very talented Nigerian Professor Ayodele Awojobi became an “activist” instead of the technologist and inventor that his creator had wired him to be. Izuogu, and Awojobi before him, are materials for the research laboratory and not candidates to mount the soap box to preach any cause. There is certain young Nigerian from Northern Nigeria called Jelani Aliyu, designer of the Chevy Vaux. He is today held up by the brains behind the Nigerian government’s rebranding campaign as one of Nigeria’s success symbols, but the irony is lost on those who seek to give Nigeria a good name by the personal accomplishments of some of its Talented Twelfth. They hardly pause to ask just what the Nigerian State has done to bring out their talent. The truth of the matter is that Zilani is being celebrated the world over today only because he had the good sense or the good fortune to migrate to the West where the climate is favourable enough for his talent to blossom or find expression. Every day our media of mass communication take the pains to highlight the brightest and the best among us whose mental and creative powers will help to take our race to a level of dignity and respect yet our visionless leaders do not know what to do with them. The level of our society’s disdain for men and women of exceptional talent is so much that in the 80s one of our greatest thinkers and writers Wole Soyinka was moved to the point of frustration when he described himself as a member of the country’s wasted generation. Since Soyinka I can say that every generation in Nigeria has been wasted. But as harmful as the waste of human skills is to our continent and racial development what is even more ruinous is the rate of wasting of human lives. Too many people in Africa or among the Black race die from so many clearly avoidable causes. In the past one month, for instance, Congo DR has lost nearly 400 souls because rickety and ill-maintained boats which ply the country’s river routes have capsized. If I were a skilled poet, I will take up a lament for our many potential scientists, technologists, architects, inventors, administrators, diplomats, philosophers, artists and other vitally needed human capital that are never allowed to live to fulfil their destinies by the cruel forces that devour human lives in our woe-begotten continent.